when the first part of the requirement is Received, and the requirement is not clear, for clarity design and development of Prototype Model is done. After the Design and Development Prototype Testing is done. After Prototype Testing Costumer Review and finally, it is approved. Based on this Designing is Done and After Designing Coding is done, and based on coding Testing is done. When the second part of the Requirement is Received, the same process is repeated. 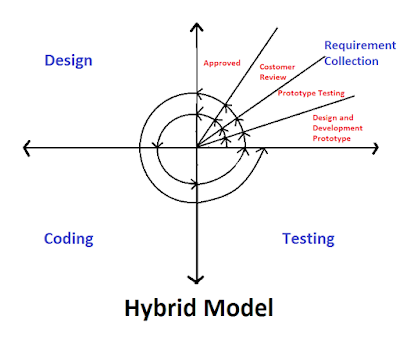 This how Hybrid Model is Working. 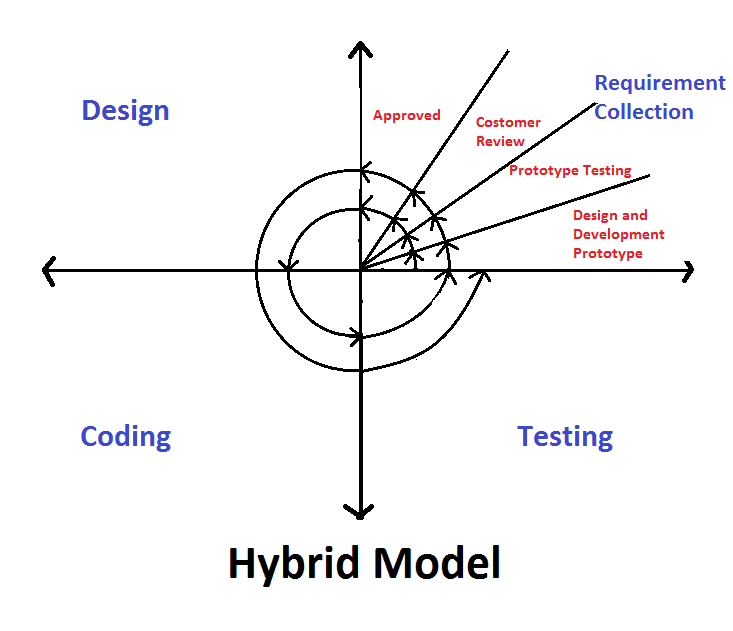 When the requirement is not clear and the Requirement is given part by part then we combine Prototype Model with Spiral Model. When the requirement is not clear and its a long term project we combine Prototype Model with V-Model. Who am I? It doesn't Matter. What matters is what I give You! BloggRush is Brand, under that Iam Happy to give the complete knowledge on Manual Testing. The Better you Understand the concepts the Better you know thw Topic . Here That's my Aim! Hope You Like my webiste. MANUAL TESTING | Types of Testing: Alpha Testing & Beta Testing.